Is a revocable or an irrevocable living trust right for my estate? 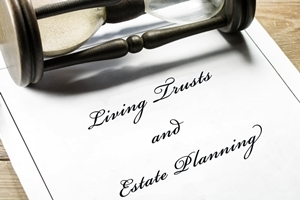 When considering your estate plan, an option you may hear discussed frequently is a living trust. Living trusts are often misunderstood, and to complicate matters more, there are two types of living trust that you should know about: the revocable and the irrevocable living trust. The general concept behind either type of living trust is fairly straightforward. You create the trust during your lifetime and assign it ownership of some or all of your assets. You may continue to use these assets, and when you pass away, the trust will transfer the assets to your designated beneficiaries. But each type of trust serves a different purpose depending on the needs of your estate, and you should understand the differences before you make the decision to include a trust in your estate plan. For a revocable living trust, the creator (grantor) creates a document that transfers some or all assets into a trust, assigns a trustee to handle the administration of the trust, and names one or more beneficiaries to receive assets from the trust upon the grantor’s death. The distribution of assets may be all at once or on a set schedule based on the grantor’s wishes. The revocable trust is designed so that the grantor remains in control and is the primary beneficiary of the trust until he passes away. “Revocable” means that, while living, the grantor is free to alter the terms of the trust, or even disband it entirely. Once the grantor has died, the trust becomes irrevocable, and the terms cannot be changed. One of the biggest advantages of a revocable trust is that the assets can be directly transferred to the beneficiaries without going through the probate process. This can offer a savings to your beneficiaries both in terms of reduced legal fees in probate court and in the time it takes to receive their distributions. Another advantage of a revocable living trust is that the terms of the trust stay private upon death, which can protect the privacy of your beneficiaries and other surviving loved ones. This is different than a last will and testament, which will eventually become part of the public record and viewable by anyone. One common misconception is about the tax benefits of a revocable trust. Since the grantor is also the beneficiary of the trust while alive, the grantor is legally considered to still hold control of the assets. For this reason, the IRS does not view a revocable trust as a separate entity for tax purposes. Assets in the revocable trust will therefore be included in the estate’s valuation when calculating estate taxes. The major difference between an irrevocable trust and a revocable trust is the ability to alter the trust once it’s established. Once an irrevocable trust has been formed, the grantor effectively turns over complete control of the trust to the designated trustee, who must be a disinterested third party. Once the irrevocable trust has been created, the only way that it may be altered is with agreement of the trustee and the beneficiaries. Since the assets in an irrevocable trust are owned by a disinterested third party, the IRS views this type of trust as a truly separate entity. The biggest advantage is the estate tax calculations upon death—any assets held in an irrevocable trust are not counted in the final valuation of the estate, which can lead to a significant savings on estate taxes. If set up well in advance, irrevocable trusts can also offer a layer of protection against creditors, legal claims, and even Medicaid asset restrictions for elderly grantors wishing to receive benefits; however, the trust must be not created explicitly for these purposes, or it risks running afoul of “fraudulent conveyance” laws. Choosing the right kind of living trust for your estate plan depends on your assets and your needs for the future. A revocable trust is relatively easy to create and convenient, but it doesn’t offer the same level of protection that an irrevocable trust does. An irrevocable trust offers better protections for certain estates, but it can be more complex and involve more maintenance and overhead costs. An experienced estate planning attorney can help you make an informed decision about which one is right for you and your beneficiaries. The Law Offices of Molly B. Kenny offer over two decades of skill and experience with estate planning and probate issues. To find out more about living trusts and how to create the right kind of estate plan for you and your family, call us for a private consultation in our Bellevue law office at (425) 460-0550.